Pennants remain very collectable. They are colourful reminders of past success and achievement. 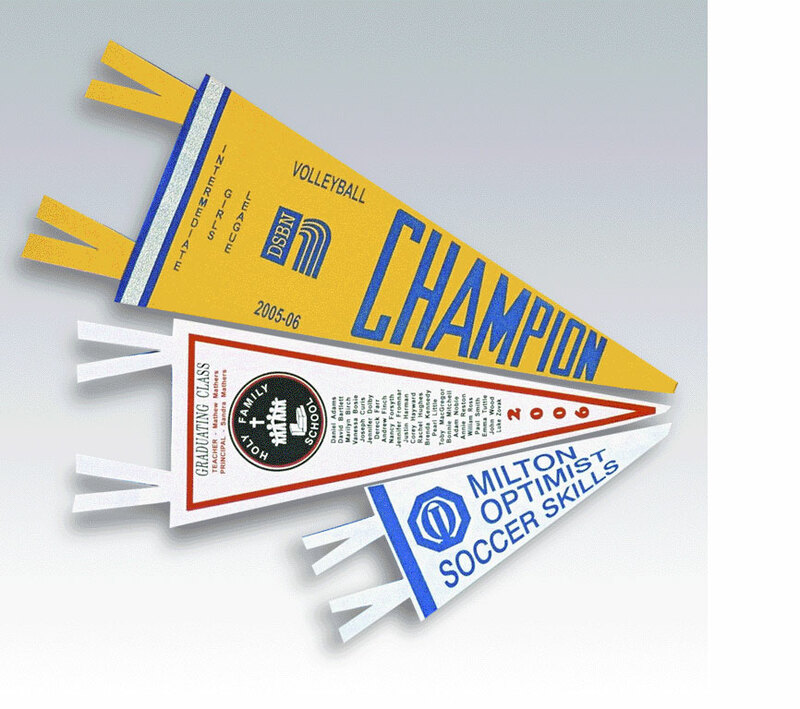 We manufacture pennants on-site in pellon, twill or vinyl materials for quick turn-around. We offer three basic sizes and a variety of colours and designs can be applied to each pennant. They are a fun and durable way of commemorating achievement for a team or event.